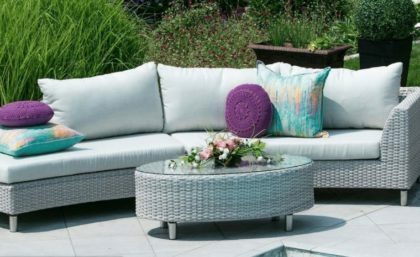 The Costa Del Sol curved sectional is uniquely designed with a curved sofa has an open ottoman extension so you can lay back and relax in your outdoor space. Inspired by Costa Del Sol in Spain, the design adds a unique element to your outdoor space. 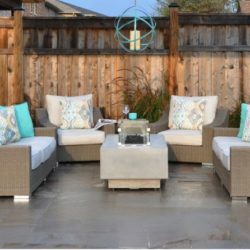 The light colours bring a fresh accent to your yard. 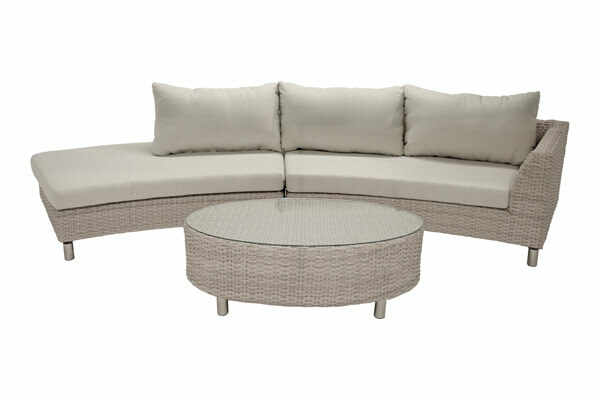 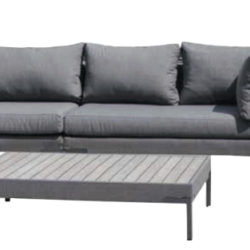 For a special setup, use two of these curved sectionals facing one another with a coffee table in between. 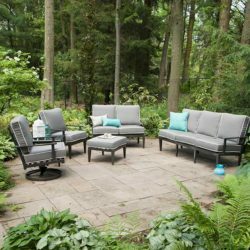 You will create the perfect conversation space for more of your guests to enjoy.